Sorry for the delay, had some issues with USPS. 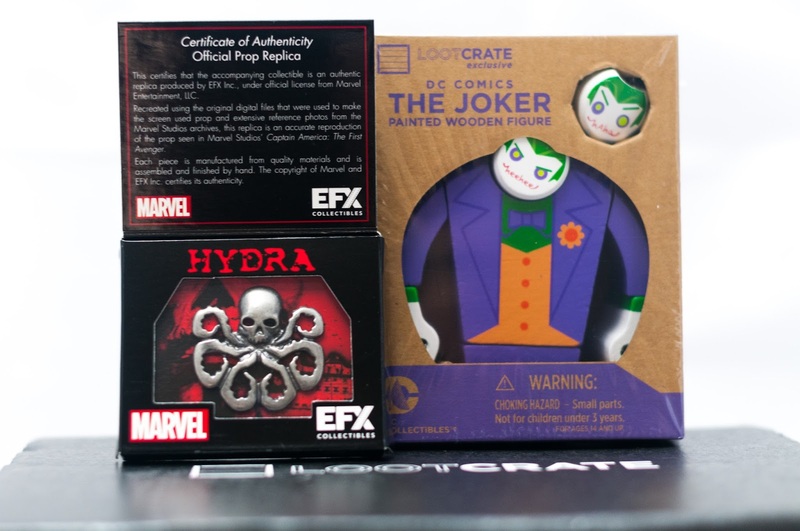 Like last month, this month’s theme is a sequel to the Villains crate from last year. 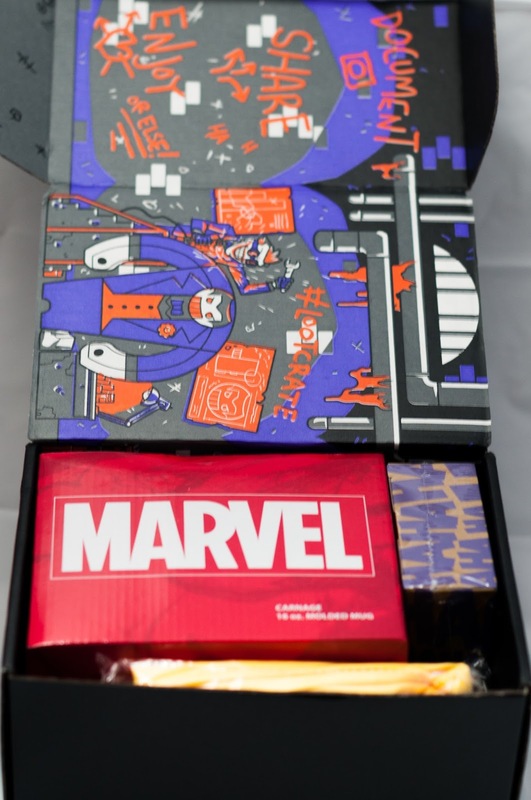 We got some cool stuff like the Joki shirt and the Deadpool socks which makes me hope that this one is just as good. A shirt was not included in this one but hopefully the other items make up for it. 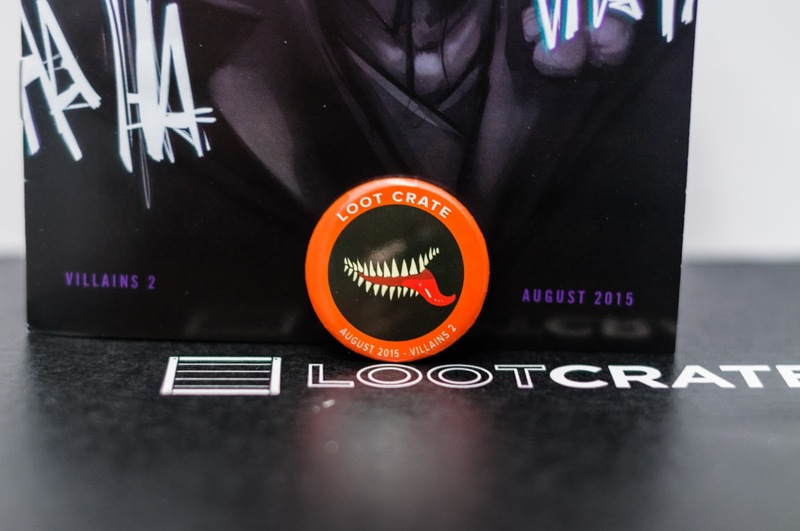 The Loot Crate exclusive is the Hydra pin from the Captain America films. I started collecting Warmachine pins and this one will fit right in with the others. The Joker figure is very unique. I haven’t seen this style of figure before and it’s a welcomed change of pace from the figures like Funko pop vinyls. I was hoping it would be another Q Pop but I am happy with this one. This figure is made from wood which is very unique since I do not own wooden toys. I was actually thinking about buying an apron the other day and the universe delivers. 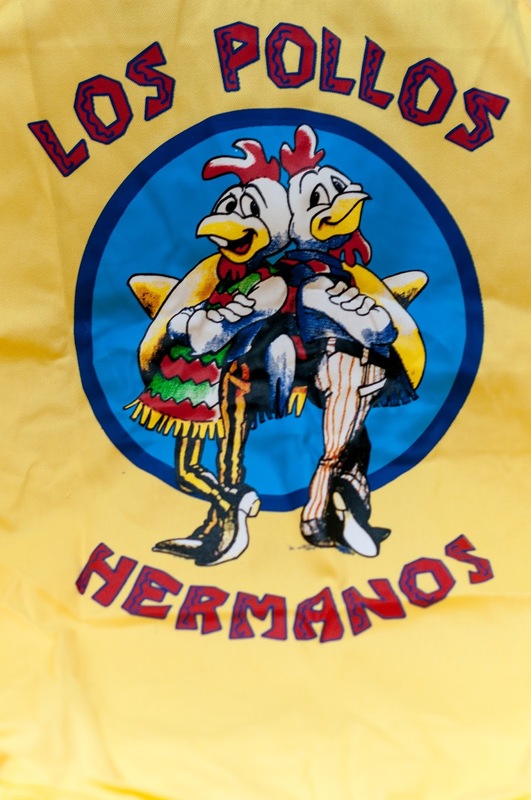 The Los Pollos Hermanos is a fictional resturant (not for long) from the TV show Breaking Bad. You might get some weird looks from people who have not seen the show, but true fans will get this reference. 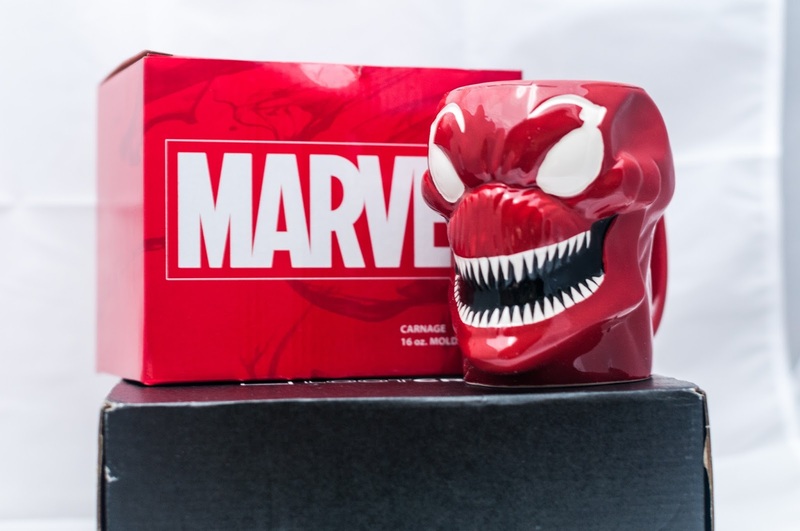 Last thing in the box is this sweet Carnage mug. This is probably my favorite item this month.I currently have a Star Wars mug sitting on my desk but I might replace it with this one. 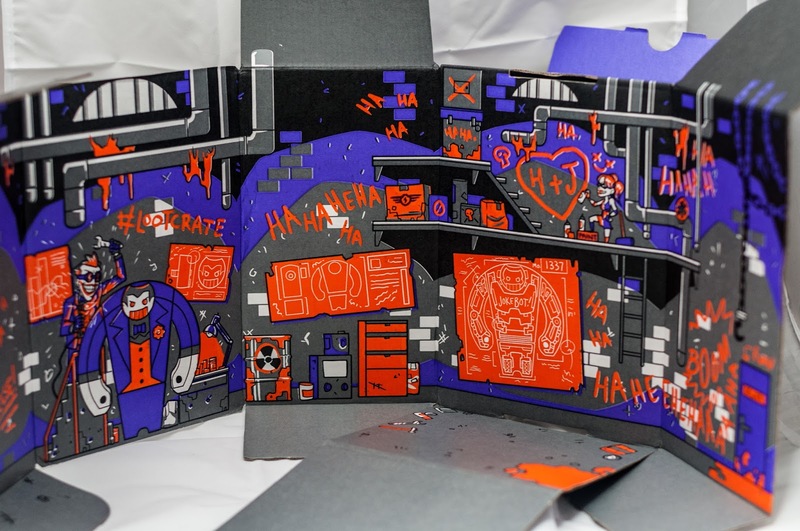 You can also use the box as a display for your new Joker bot figure. This month had fewer items than normal but I do not mind. We got some pretty cool stuff that were probably worth the same as a normal crate with more items. If you would like to subscribe to Loot Crate, use this LINK, and the cupon code SAVE3 for $3.00 off your first crate. I also get credit towards free Loot Crates if you use the link.